No doubts! we are Achieving New heights. 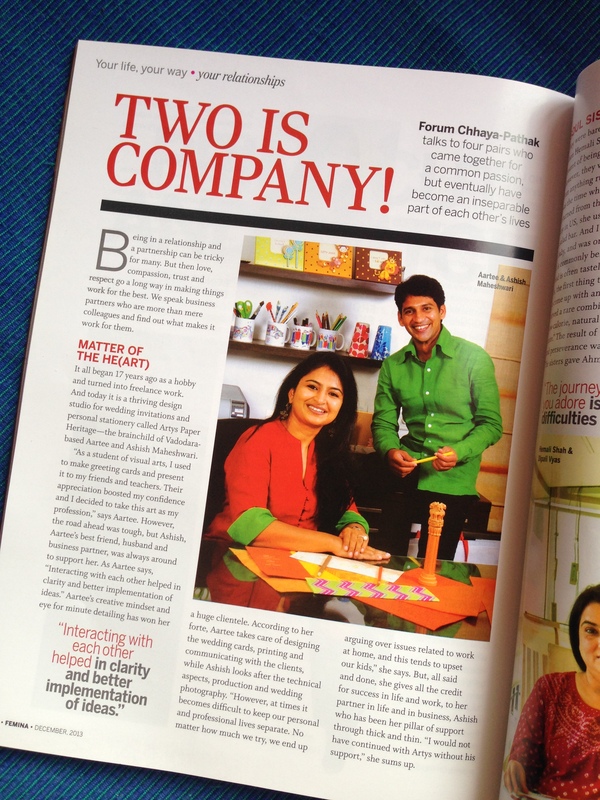 This was a start-up concept based article by Femina. Twenty one years before we started Artys Paper Heritage, nurturing our dream and passion towards paper and motifs. A combination of paper, motifs, design, printing and allied techniques like emboss, foil stamping, letter-press, die cutting shapes, led us to cater many good clients all over the world. This article was an ode to the above! We had a solo show in Ahmedabad, presenting our exquisite designed products for the Amdavadis! They loved our laser cut series! The newspaper featured us next day as it was a grand success! 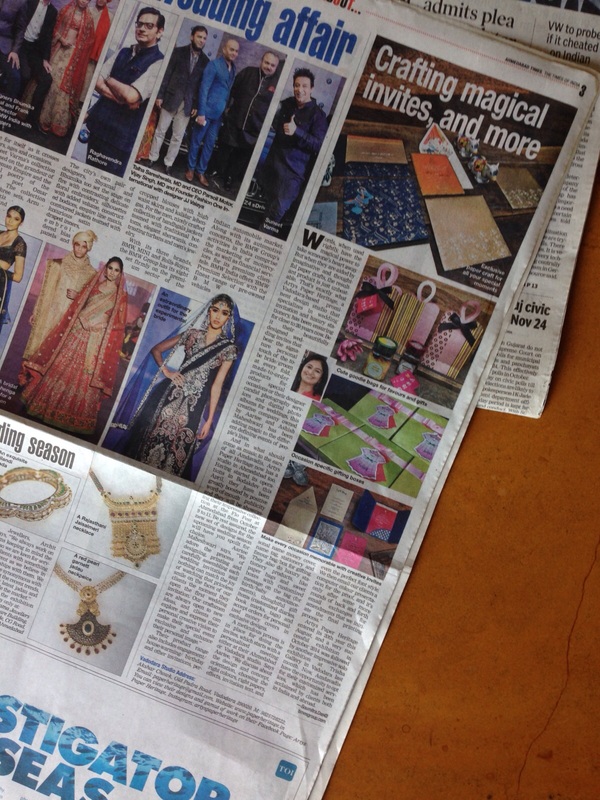 It was a great feeling to see our company Artys Paper Heritage featured in the pan India Vogue magazine. It was a privilege.